All Lesbian women must have access to the Archives; no academic, political, or sexual credentials will be required for use of the collection; race and class must be no barrier for use or inclusion. The Archives shall be housed within the community, not on an academic campus that is by definition closed to many women. The Archives shall be involved in the political struggles of all Lesbians. Archival skills shall be taught, one generation of Lesbians to another, breaking the elitism of traditional archives. The community should share in the work of the Archives. Funding shall be sought from within the communities the Archives serves, rather than from outside sources. 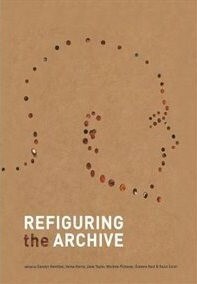 The Archives will always have a caretaker living in it so that it will always be someone’s home rather than an institution. The Archives will never be sold nor will its contents be divided. Now not everybody involved in a community archive would want to sign up to all of these points and remain totally independent but I guess there are many principles here people would feel very comfortable with. If anyone is interested in reading more, an account of the LHA’s early years can be found in Joan Nestle, ‘The Will to Remember: the Lesbian Herstory Archives of New York’ in Feminist Review 34 (Spring 1990).